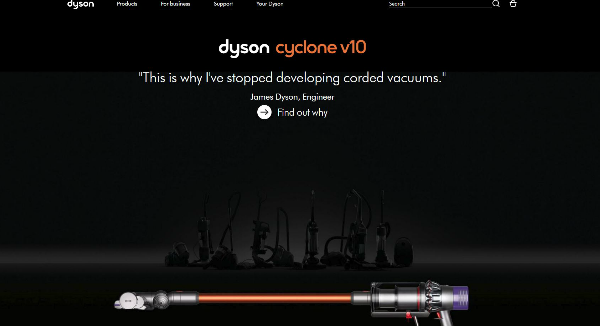 Sign up for free and just shop with Dyson as normal. Our average member earns over $450 cashback a year. $100 off V8 Absolute Was: $449.99 Now: $349.99. $100 off V8 Absolute Was: $449.99 Now: $349.99. Up to $150 off select Brand Technology. Up to $150 off select Brand Technology. Up to $150 off the V7 Absolute Cordfree, V8 Absolute, and the Cinetic Big Ball Animal Allergy Upright Vacuums. Up to $150 off the V7 Absolute Cordfree, V8 Absolute, and the Cinetic Big Ball Animal Allergy Upright Vacuums. Up to $150 off select Dyson Technology. Up to $150 off select Dyson Technology. V7 Absolute Cordfree Vacuum Was: $349.99 Now: $299.99. V7 Absolute Cordfree Vacuum Was: $349.99 Now: $299.99. Cinetic Big Ball Animal Allergy Upright Vacuum Was: $699.99 Now: $549.99. Cinetic Big Ball Animal Allergy Upright Vacuum Was: $699.99 Now: $549.99. 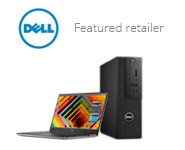 Up to $200 off Select Technology. Up to $200 off Select Technology. Only purchases made on Dyson's US site are eligible for cash back. 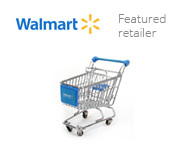 Shop online for vacuums, hand and hair dryers, fans and more. Cleanse your air with Dyson's powerful purifiers, and clean your carpet with a handy cordless device. Snag a bunch of perks with Owners Rewards, and score free shipping on all Dyson machines. Save even more money with our Dyson coupons and cash back rates. 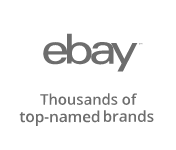 Just sign up for a TopCashback membership through the brief form at the bottom of this page to get the best deals. Dyson has a diverse variety of impressive electronics, but the vacuum cleaners are their best-sellers. The Dyson V6 Absolute vacuum might be up there with the best. The Dyson V6 Absolute vacuum is cordless, and it has powerful suction and extra tools for getting into those hard-to-reach crevices. 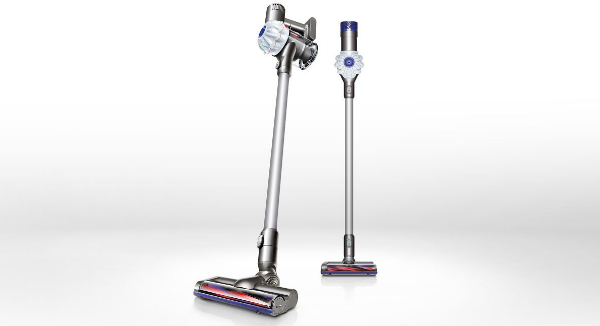 It can clean almost any floor surface for up to 20 minutes with its rechargeable battery and Dyson digital motor V6. Polish off your furniture with the soft dusting brush, and smooth over hard floors with the soft roller cleaner head. And if you think the Dyson V6 models are cool, wait till you get a look at the V8 cordless stick vacuum cleaners. These nifty numbers have up to 40 minutes of suction power, and they can transform into handheld vacuums. So they're perfect for cars. Of all the V8 devices, the Dyson V8 Absolute vacuum is the most popular. It's lightweight, fantastic at picking up pet fur and dirt and the post-motor filter captures allergens. No more sniffles for you! Dyson's fans are perfect for the office or home. The Dyson Cool fans are bladeless, so they're safe for kids and super quiet. They also reduce a carbon footprint with energy-saving motors and airflow paths. You can set a sleep timer and adjust settings with a magnetic remote control. Other cool features include smooth oscillation and a sleek, compact design. Just like the cool fans, the Dyson Hot + Cool fan heaters are built with safety in mind. They're bladeless, and they automatically shut off when tipped over, so you don't have to worry about fire hazards. And if you think that’s impressive, you’ll love the air multiplier technology and jet focus control. Snag free shipping on all Dyson machines. If you want to add tools and accessories to your order, you'll have to pay a $8.95 delivery charge. If you miss your package shipment, Dyson will leave a note at your shipping address with further instructions. So you don’t have to worry about your goods getting stolen. 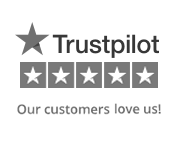 They also have a 30-day money back guarantee with free delivery for returns. Check out Dyson's Deals page for the latest promos and offers. You'll see new hair care items and complimentary gift-with-purchase deals. If you buy a Dyson Supersonic product, they'll throw in a free red storage case. You can also learn about Dyson's price match promise on the Deals page. If you find an identical model for a cheaper price at an authorized US Dyson retailer, you can contact Dyson's customer service, and they'll refund you the difference. Please keep in mind, you have 30 days from the time you made the purchase to get your refund. Become a Dyson product registered owner to snag all kinds of perks. You'll get a labor warranty, a chance to save 20% during exclusive events, a free maintenance check, insider scoops on the latest Dyson technology, access to a VIP hotline and more. And the fun doesn't stop there. Registered owners can also earn special rewards, like exclusive Dyson promo codes. They can use these vouchers during exclusive sales events. Research, Design and Development is at the core of Dyson. One third of people at Dyson are engineers and scientists, committed to solving problems to make things work better. This commitment has resulted in vacuum cleaners with constant suction, bladeless fans, hygienic and efficient hand dryers and brushless, digital motors.